PREV	Beachmere West - Room 124	NEXT! 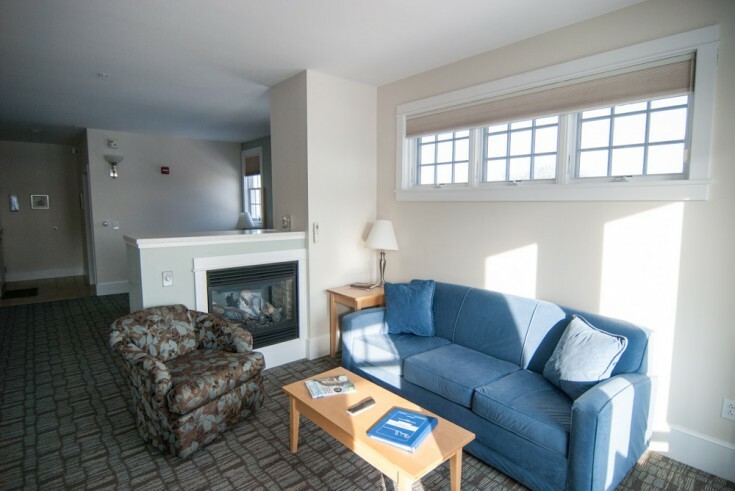 Suite 124 is deluxe one-room suite, located in the Beachmere West building on the first floor. 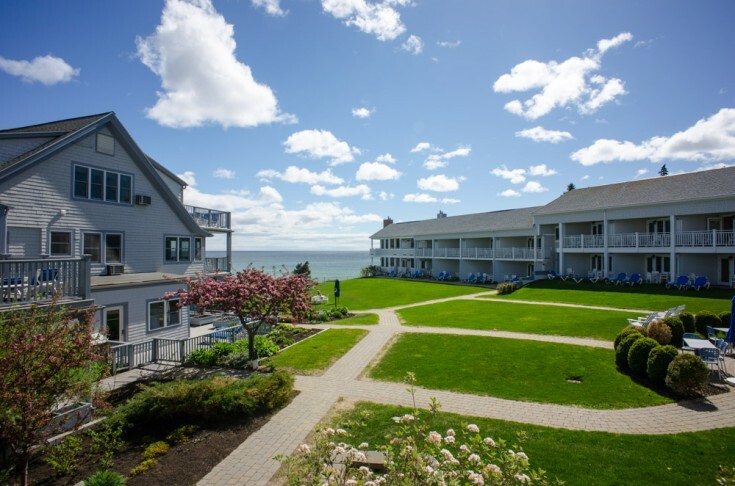 Enjoy open ocean views from the private front balcony and views to Ogunquit Beach from the extra side windows. 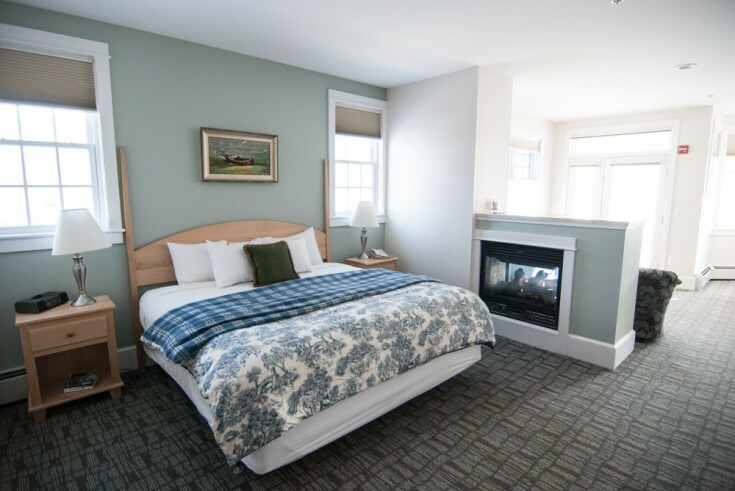 The large open concept room offers a king bed where extra space was designed for ease of movement. A double-sided gas fireplace was placed to enjoy from your bed or the living room area. 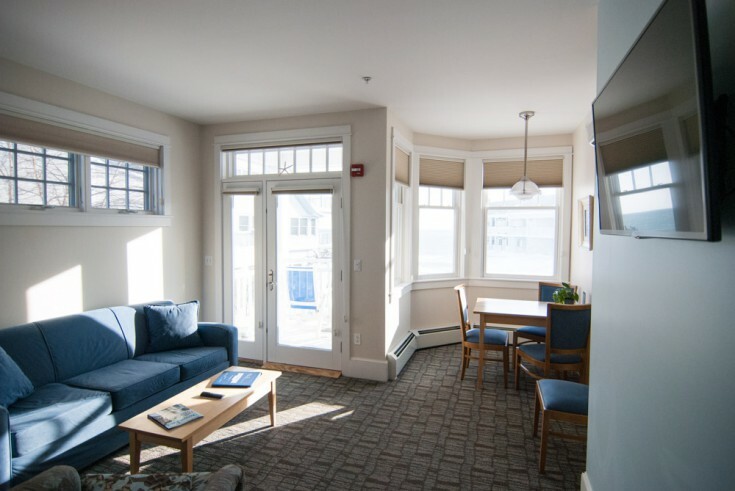 The front part of the suite has a queen sofa bed for an extra guest and a dining table surrounded by large windows to take in the sounds of the waves hitting the rocks beyond. An easy chair and sofa allow for relaxation while you take in the views! 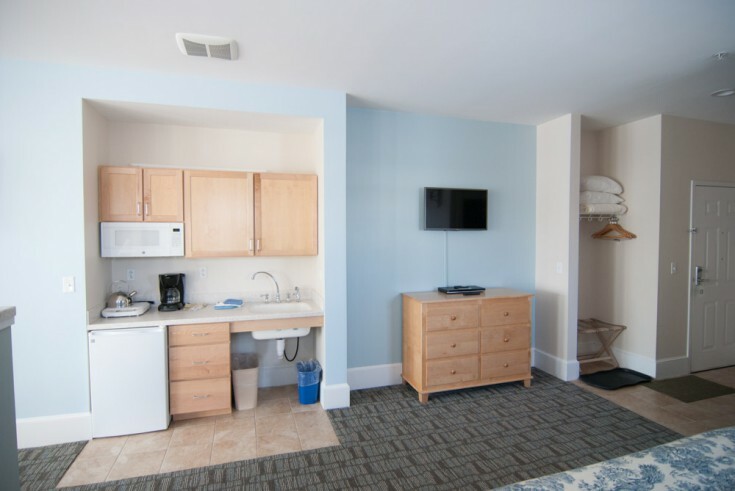 The kitchenette offers an under the counter refrigerator/freezer, microwave and induction cooktop that will enhance your in-room snacking enjoyment. You will find this unit fully stocked with all cooking dishware as well as coffee maker, toaster and wine glasses. 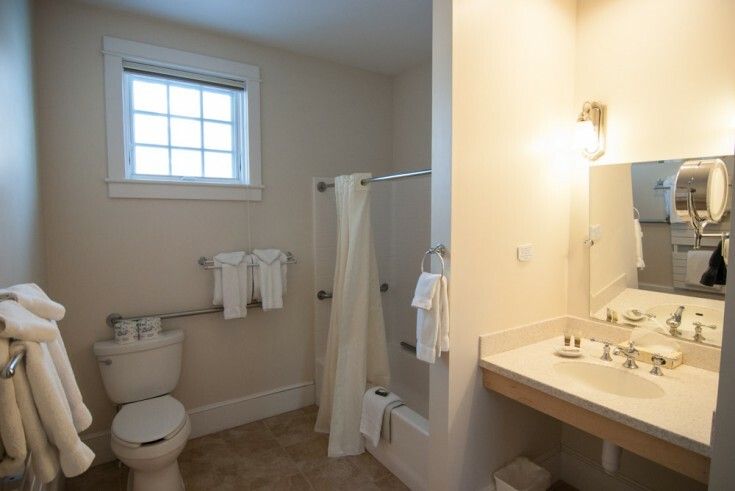 This suite has a bathroom with extra grab bars for the tub and shower area. Enjoy heated towel bars. This suite has features to make it handicapped accessible. The king bed is fully height adjustable, the bathroom features extra grab bars, a shower chair, and hand-held shower head. All counters allow for wheelchair clearance, and the balcony is wheelchair accessible as well.